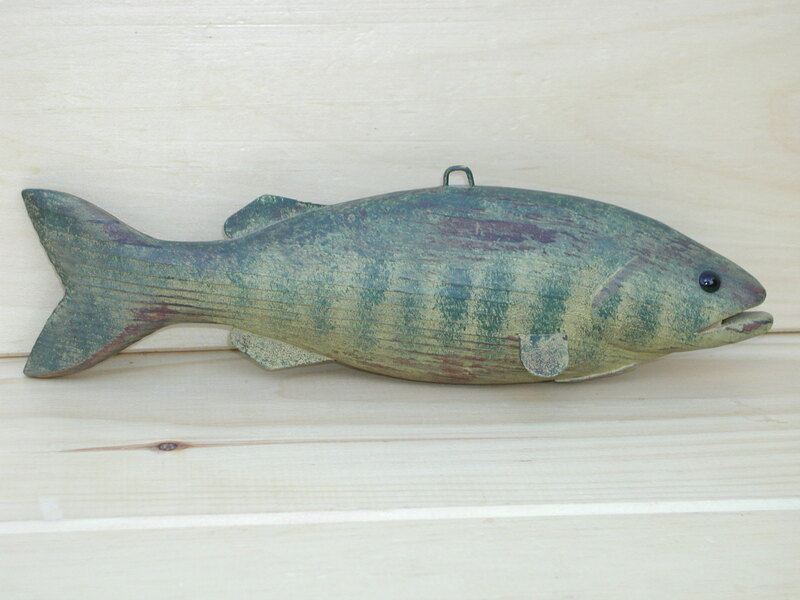 One of the most sought after fish by avid anglers, our Smallmouth Bass measures apprx. 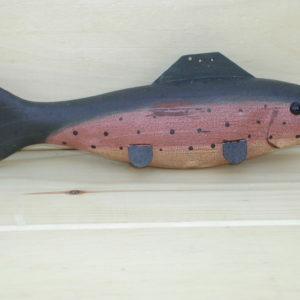 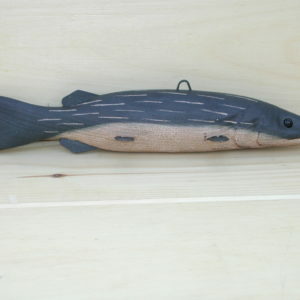 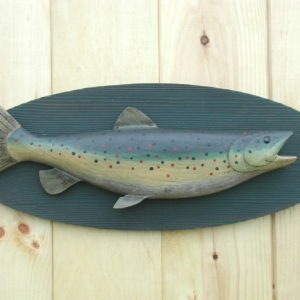 11″ long x 3 1/2″ high x 3″ wide (with fins). 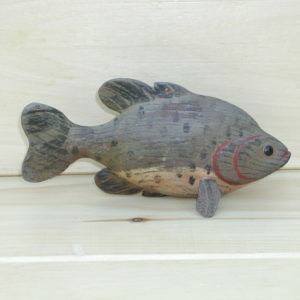 Other features include black glass eyes, carved gills, and inletted metal fins.